As a parent, it can be difficult to stay up-to-date about the latest toys that may pose a hazard to your little one. Between the changing safety standards and the vast number of toys on the market, assessing the safety of your baby's playthings can be an overwhelming task. Fortunately, learning where to find the latest recall information and how to spot a dangerous infant toy can help you keep your baby safe. The Consumer Products Safety Commission (CPSC) keeps a list of all the toys that have been recalled in recent years. They don't sort the list by age range, but you can put in a specific toy that concerns you and find out whether it is affected. You can also view the list by date, which allows you to skim for some of your baby's most recent playthings. For each recalled toy, you'll get specific information about why the toy has been deemed dangerous. The good news is that toys are getting safer. In 2008, the Consumer Product Safety Improvement Act went into effect. This law requires toy manufacturers to have the safety of every product tested by a third party. In most cases, the manufacturer voluntarily recalls a toy before any injuries are reported or the CPSC responds to consumer complaints of potentially dangerous toys and recalls the item before babies are hurt. However, in past years, a few toys caused actual injuries to babies. Tiny Love Wind Chime Toys caused one injury before they were recalled in 2010. The manufacturer, who sold 600,000 of these wind chimes in the US, designed these toys to hang over the baby's car seat or crib. Due to a problem in the toy's design, the baby could pull the toy apart and expose sharp metal pieces. These pieces could cut the child, and one baby sustained a puncture wound in the cheek. The CPSC recall states that parents should remove the toy from the baby's environment, and request a replacement toy from Tiny Love. The Leapfrog Learn-Around Playground caused 54 minor injuries to babies and toddlers before it was recalled by the CPSC in 2006. Because of a fault in the design, a baby's arm could become trapped in the toy, causing scratches and bruises. Leapfrog manufactured 186,000 of the brightly colored, interactive toys in 2005 and 2006, marketing to the parents of older babies who could stand or kneel in front of it. 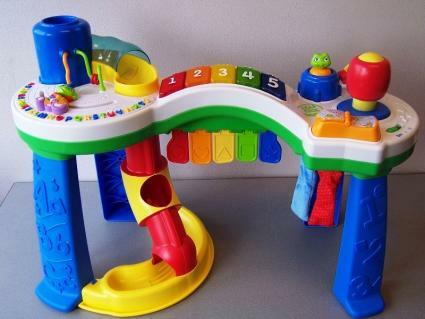 The CPSC recall of this item states that parents should contact Leapfrog to have the toy fixed. 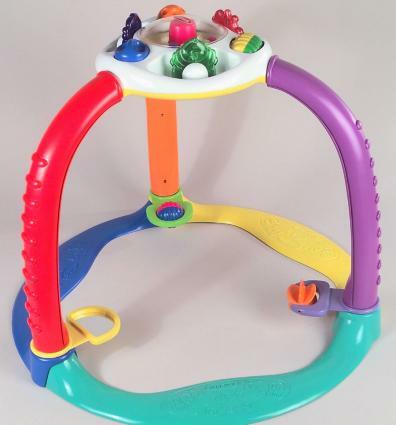 The Playskool Magic Start Crawl and Stand is responsible for 26 injuries, including cut lips, black eyes, bruises, and minor concussions. Recalled in 2003, this toy was sold at Walmart between 2002 and 2003. The recall affects 300,000 units, which could tip over and injure babies. The CPSC recall states that parents should discontinue use of the toy, and contact the manufacturer for a replacement item. 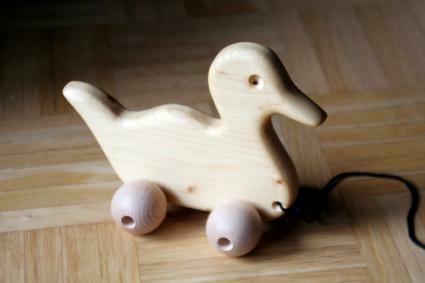 Although the CPSC recalls any toy that is a known safety hazard, you may still encounter some of the previously recalled items when you shop at garage sales or thrift stores or receive used toys from friends and family. Although it is illegal to resell a product that has been recalled, many people are not aware of specific recalls and don't realize they are selling something dangerous. If you encounter these recalled items, you should remove them from your baby's environment and follow the CPSC's guidelines for getting the item fixed or having your money refunded. Avoid any toy with parts, especially balls, that are less than 1.75 inches in diameter. These can become lodged in the windpipe. In addition, watch for toys that your baby could disassemble or break, resulting in parts small enough to choke on. Watch for toys with long handles, since babies sometimes put these handles in their mouths and can choke themselves. 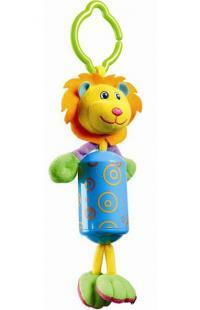 Avoid battery-operated toys for babies, since battery acid could leak and be ingested by the child. If the toy does have a battery, ensure the battery compartment is secured and is not easily accessible by your infant. Watch out for any toy with a string longer than six inches, especially pull toys. These strings can pose a strangulation hazard. Don't use crib toys that hang down from or across the crib, since these can entrap a child or present a strangulation hazard. Check to make sure any painted toy uses lead-free paint, since lead exposure can lead to serious developmental delays. Watch out for any riding toy that does not have a harness or that isn't labeled for use by babies. The most important thing you can do to protect your little one from dangerous toys is to be watchful and involved. Check toys regularly to assess their condition, and make sure they haven't been recalled. Staying up-to-date and supervising your child will help keep him or her safe.